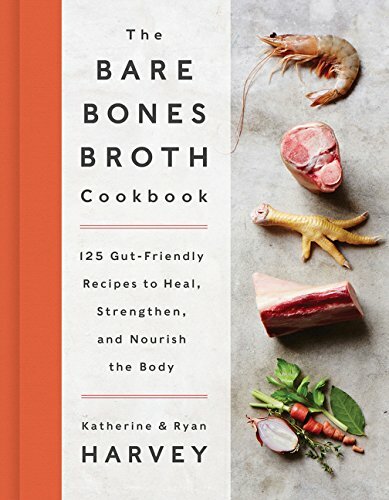 From the founders of Bare Bones Broth Company, 125 delicious recipes for making and cooking with the latest food trend that's taking the culinary and wellness communities by storm: bone broth. Bone broth is one of mankind's oldest foods—and healthiest, boasting one of the most complete nutritional profiles of any food on earth. The collagen, bone, skin, marrow, and fat that is extracted when animal bones simmer in water for hours (or days) are the building blocks of life, containing proteins that help to combat inflammation; boost immunity; strengthen bones; improve hair, skin, and nails; and help a host of digestive issues by promoting optimum gut health. Discover the amazing health benefits of bone broth—the power of delicious food is only a stockpot away with The Bare Bones Broth Cookbook. This recipe lured me in by the photo—there's been a similar looking dish floating around the internet that has been making me hungry so I figured I should scratch the itch. Here's another recipe that needed help—it seemed like it may call for a bit too much broth, and the thighs took much longer to cook than expected, the interior was still raw when I cut the meat off the bone. It luckily worked fine and the result was delicious, the white wine, caper, lemon combo is a winner.